Everyone hates getting killed in Call Of Duty. So much so when you get knifed in the throat or a sniper (the most cowardly soldier of them all) kills you perched on some ledge or in some bushes, we quickly press that square button (‘X’ for you Xbox heads) to skip the KillCam sadistic viewing and get back into the action. But after the watching the new trailer for the Havoc DLC coming to Call Of Duty: Advanced Warfare, your profound hate for those “out-of-body” experiences you get watching yourself being violently cut down by an enemy is personified by a deusche in a caravan. 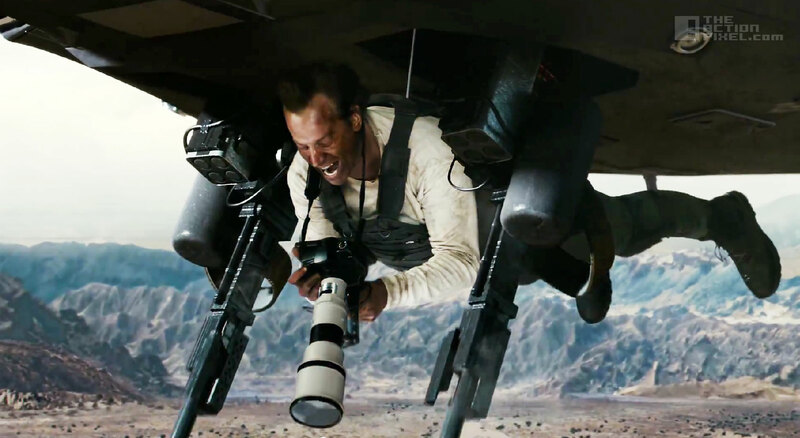 Meet Randall Higgins, the KillCameraman. The Havoc DLC features 4 new maps “Urban”, “Drift”, “Core” and “Sideshow”, and, of course the star-studded ExoZombies mode that featured an awesome trailer earlier this week.